Space flight is like the venture capital industry in reverse: Most launches succeed, but a prominent few explode spectacularly, just as SpaceX’s latest attempt did on Sunday. Such mishaps, though, are par for the course in the space business, and Elon Musk’s company remains on the right trajectory. Google and Fidelity invested $1 billion earlier this year, giving SpaceX a $12 billion headline valuation. And the development of rockets that can handle more cargo and be reused is under way, promising to increase the cost advantage over rivals. The privately owned SpaceX claims to be profitable and had 18 successful flights of its Falcon 9 rocket under its belt before the weekend. The latest flameout spoils that record but shouldn’t materially harm the firm’s prospects. About 5 percent of all rocket launches failed last year. That’s far better than at the height of the space race, but the stresses involved in propelling a vehicle to more than seven miles per second means accidents still happen regularly. The last two missions to resupply the International Space Station also bombed – one by U.S. group Orbital ATK and one by Russia’s space agency. That alone makes it hard for new entrants to break into the market. The technology is difficult to master, producing rockets is capital-intensive, and politicians stack the deck against upstarts, including SpaceX itself, through sweetheart contracts and subsidies for national champions. All that said, Musk’s company will have to figure out what went wrong, and that may entail months of delay. The time and expense involved could erode part of the firm’s cost advantage over rivals like Orbital and Boeing. Yet SpaceX has undercut competitors on launches to low orbit by 40 percent or more. That leaves a lot of leeway for fixes. The bigger risk for SpaceX may be any diversion of resources from its efforts to develop reusable rockets. The company has been inching toward safely landing used boosters, which represent the majority of the cost of a launch. Success could cut expenses by a factor of 10. That’s what could make flawless launches so commonplace that the occasional explosion would be far less newsworthy. 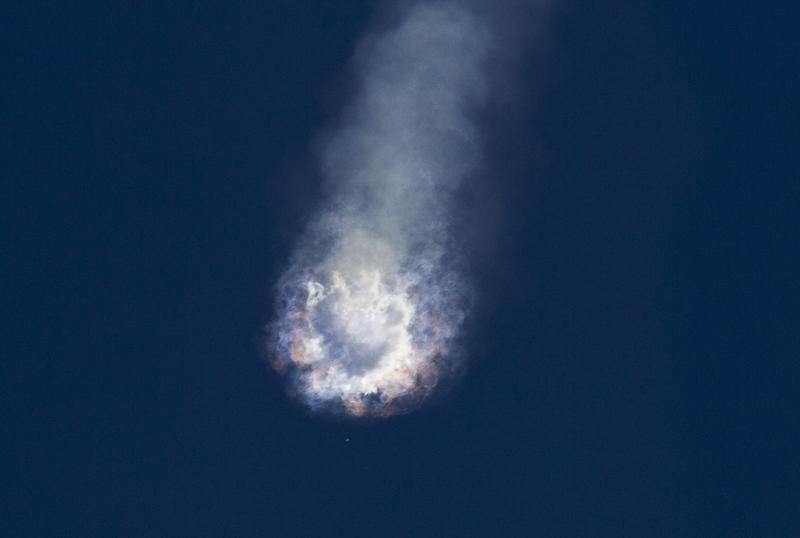 An unmanned SpaceX rocket exploded after takeoff on June 28, destroying cargo destined for the International Space Station. The company’s Falcon 9 rocket had flown 18 times successfully since its debut in 2010. SpaceX said an investigation would ground the rocket for “a number of months” but less than a year. The company said a preliminary analysis indicated a problem with too much pressure in an upper-stage liquid oxygen tank. The company was planning to try to land the first stage of the rocket on an ocean barge, in an experiment aimed at reducing costs. Two previous attempts by SpaceX to land a rocket stage failed. Two previous missions to resupply the space station failed after a rocket from U.S. company Orbital ATK exploded on the launch pad and one launched by the Russian Space Agency went out of control.